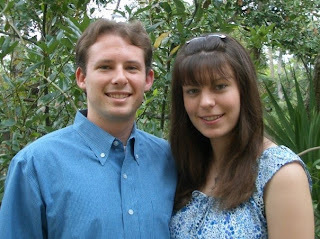 Today, five years ago, Jonathan proposed. We haven't shared the story on here yet, so I figured now is as good a time as any. During our first two years of college, we had different Spring Breaks. So, when we realized it was the same week in 2005, we decided to go on a trip. I had been itching to see Seattle since I was a freshman in high school (thanks to a test our English teacher suggested), and Jonathan had an interest in the city as well. So, at the amazement of many of our friends, we flew just about as far as possible in the continental US to spend a week in Washington state. We got a great deal on priceline, although we did stay in Tukwila (the furniture capital) instead of in the city itself, and our red-eye back had two transfers. It was really no problem, and we took the bus most of the time (with one cab ride and one monorail trip, too). We had a great time seeing the sights (Space Needle, Pike Place Market), learning the history (we took the Underground Tour, heard about the Indian background and tributes, saw the first Starbucks), and taking in the local scene (we went to a show at the Seattle Rep, a Thunderbirds hockey game, the Zoo, and the Pacific Science Center). We did more, but since my scrapbook is in Florida, I can only go off of these memories, LoL. The Tuesday that we were there, we planned to have dinner at the Space Needle. I was really excited because we had heard about how it rotates, and there's delicious food, and it's an unbelievable experience with a phenomenal view. We were seated so we were next to each other, both facing the window. We were able to see the city as the sun went down and it became dark. I had really wanted a chocolate cake dessert that I had seen on the menu, but Jonathan insisted we get the ice cream dish instead. It did look cool (a nearby table had one), so I went with it. The server brought out (what I thought was) the dessert. A large plate was filled with dry ice, creating a foggy effect around the smaller dish in the middle. That small dish was supposed to be the sundae, but in this case it was the open ring box. I couldn't see anything, and when Jonathan took my hands in his and asked me to marry him, I was still clueless. Shortly after, it all came together, as I spontaneously started crying tears of excitement, the ring became visible through the fog, and we became officially engaged. The restaurant's photographer came out of nowhere to take some pictures, and the nearby tables were applauding. We did get a real dish of ice cream brought out a few minutes later, and after we settled the bill we walked around the observatory deck and then also wandered the gift shop for a few minutes (and that was also the start of my skyline t-shirt collection). I included some of my favorite photos from the trip below, with captions.